Matte and bold. 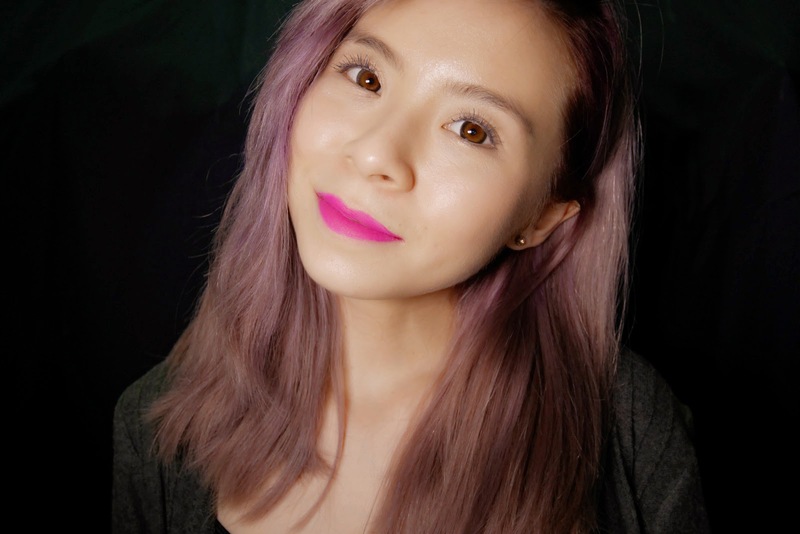 Definitely one of my favourite matte lipsticks in town. 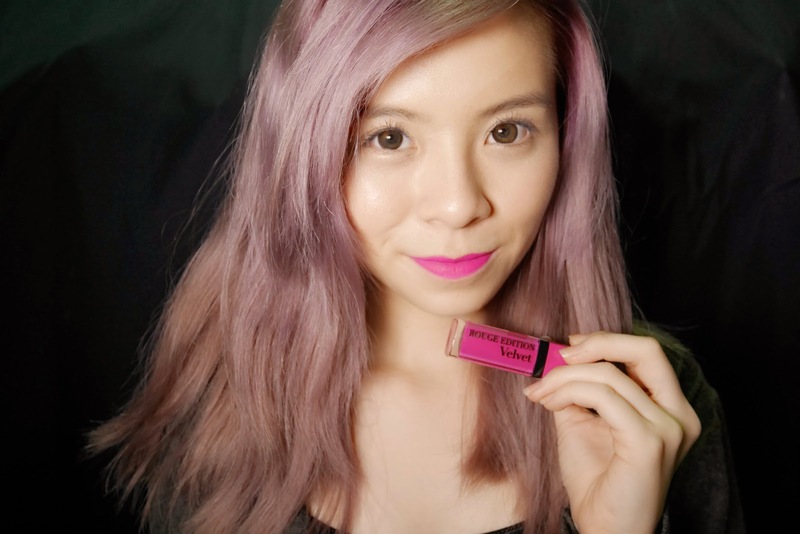 The colour payoff is crazy gorgeous and ultra pigmented, along with it feeling super light on the lips as well as it being extremely long lasting. Almost everything it claims are true, except that it is still quite drying in my opinion. I've received two shades, 06 Pink Pong (fushia pink) and 08 Grand Cru (dark red). Unfortunately, they are both more towards the bolder type of colours, thus I can't really judge if the lighter colours are more wearable or not. In my opinion, these two colours are not something normal people would wear as an everyday look as they are both very strong colours. That aside, I have more troubles getting an even application with Grand Cru than Pink Pong. Yes, both will need a lot of attention to put on but Pink Pong seems to go on smoother than Grand Cru. Everytime I put on those luscious dark red colour, I realised that I have blot my lips with a tissue and apply a second layer over it to get it looking neat. It's not the case of Pink Pong though, I only need to apply once with this fushia pink shade. Both gave me an exceptionally long lasting affect, I truly applaud Bourjois for this. If you eat with slight caution, the colour won't even budge. Also, it's agreeable that it does provide that second-skin feeling, ultra light weight on my lips, as if I did not apply anything on my lips. However, it's quite unfortunate to say that it does leave my lips feeling rather dry after a while. Though, I solve this issue by layering clear lipbalm on to of it. Available at Bourjois Kiosk at Sunway Pyramid and selected Watsons outlet at a recommended price of RM42.90. 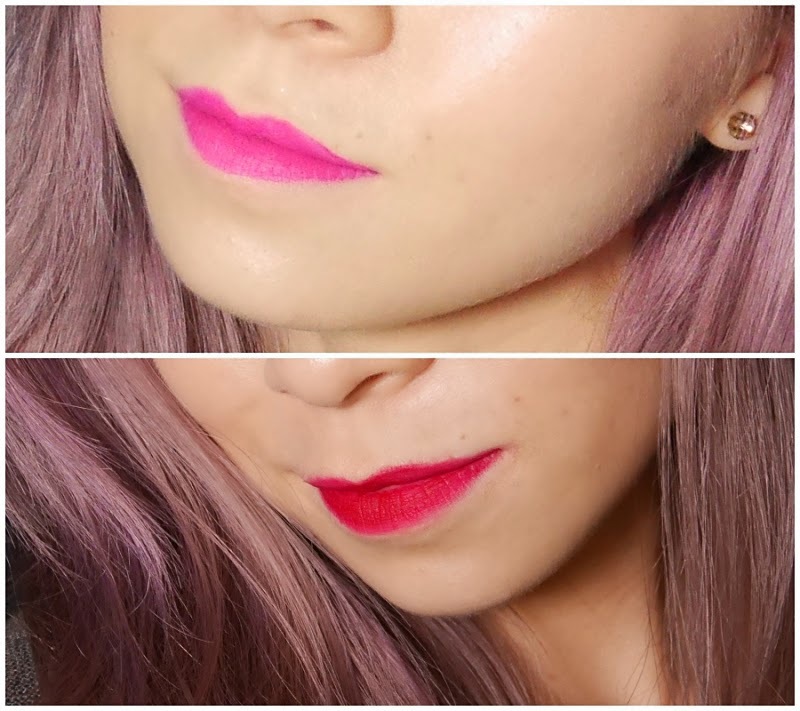 P/s: Bourjois Malaysia is giving away 200 New Lipsticks that will be launching soon. Before 15th March 2015, head on to Bourjois Malaysia Facebook page for more info!